I just bought a house and the land is front wide and the back narrow. This is not auspicious? If yes, what should I do? The house is a South-West house. And the one of the eight sector- "Death" is my children's bedrooms, what should I do? It is very common to find a plot of land which is wide at the front and narrow at the back. Under Shapes and Forms Feng Shui, the "opposite" is true i.e. the plot of land is narrow at the front and wide at the back. 1. where is the location of the water course (if any) such as water course coming into the home and draining out of the home. 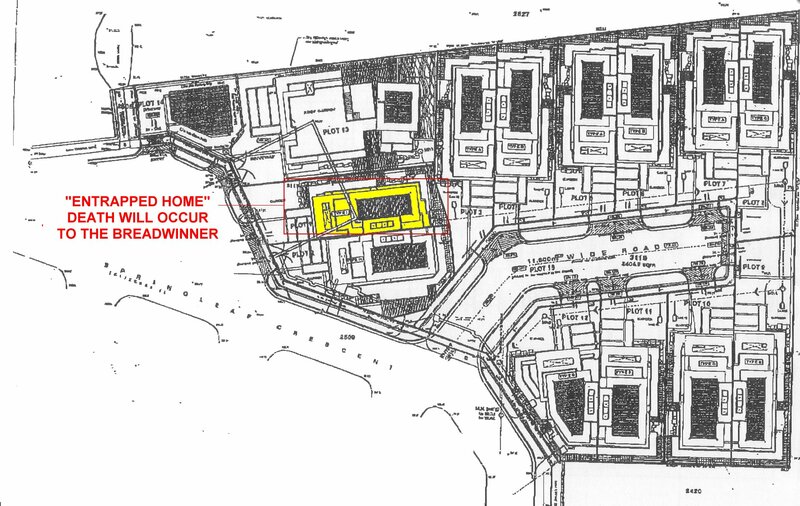 For example, take a look the attachment -- at this "entrapped" home in Singapore -- Very inauspicious home! Thank you for your advice. Just to clarify your reply. You mentioned that the "opposite" of Front Narrow Back Wide is "true". In this situation, the word "true" mean Front Narrow Back Wide is inauspicious or Front Wide Back Narrow is bad? But generally, other than what I had attached earlier "an entrapped" home; I have known of many homes which have been constructed, stayed in such as "front wide-back narrow" or "front narrow-back wide". 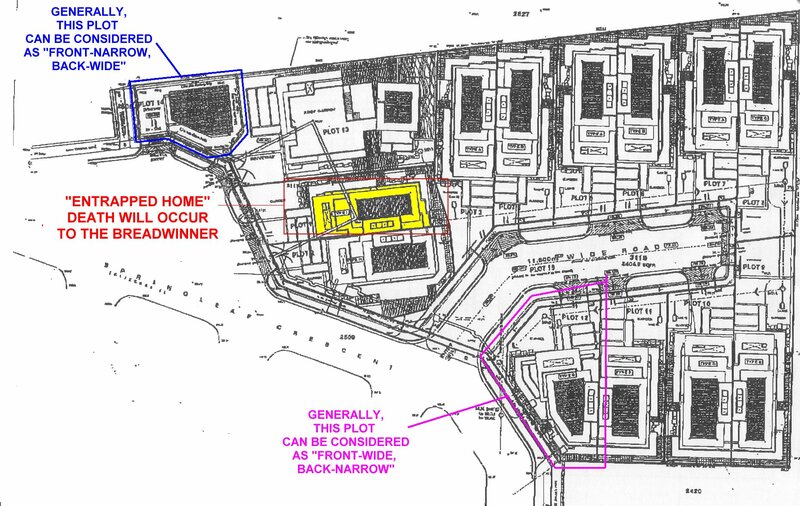 On the attached layout plan, I have already marked two plots of land: one plot in blue outline and another in pink outline. Please check out the attachment. Frankly, hard to visualise with just this layout plan. Firstly it is blur. As well as no external perspectives. Below is the link to property advert. This should have most of the information and a clear floor plan, street view ,map etc. Hello, thank you very much for taking a look. Please see the below link. This is link to property advertisement and contains all the information like pictures, floorpan, map, street view etc. Please let me know if you need any further information to analyse this. Thank you again for your help. 1. In my opinion, in general, the external looks acceptable with gated surroundings. 2. Some are affected by kitchen at NW, others not so. 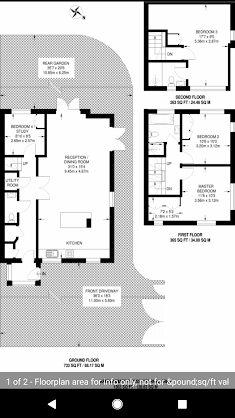 The above three are looked at to have a final holistic look at the house.